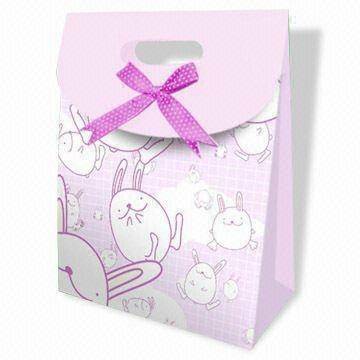 We are involved in manufacturing, supplying and exporting a quality approved range of Printed Gift Bags. These bags are highly demanded by the clients due to their fine sheen and easy cleaning nature. Moreover, our range is not only stylish but also handy that can be used for packaging various wedding related gifts. Besides, one can get this range at industry leading prices. We, Amman Agency were established in 2009 as a sole proprietorship organization. Our company specializes in manufacturing, supplying and exporting a vast range of D Cut Bags, W Cut Bags, Printed Carry Bags, Shopping Bags, Plain Carry Bags and Gift Bags. These categories consists products such as Non Woven D Cut Printed Bags, Non Woven W Cut Plain Bags, Non Woven Printed Carry Bags, Non Woven Printed Shopping Bags, Non Woven Plain Carry Bags, Plastic Gift Bags, Plain Shopping Bags, Designer Clutch Bags and more. Manufactured by using premium quality raw material, our products are acknowledged amongst customers, owing to their matchless features and excellence. Our experts specially design products keeping the existing demands and preferences of clients in mind and ascertain to supply range accordingly. Besides, we hold expertise in providing customization solutions, which is according to the specific details of our valuable clientele. Furthermore, we have incorporated advanced production techniques, which enable us to remain in pace with the prevailing market trends. Before offering range into the market, our experts stringently examine their quality on various parameters. This enables us to make flawless delivery of consignment at our clients’ end.